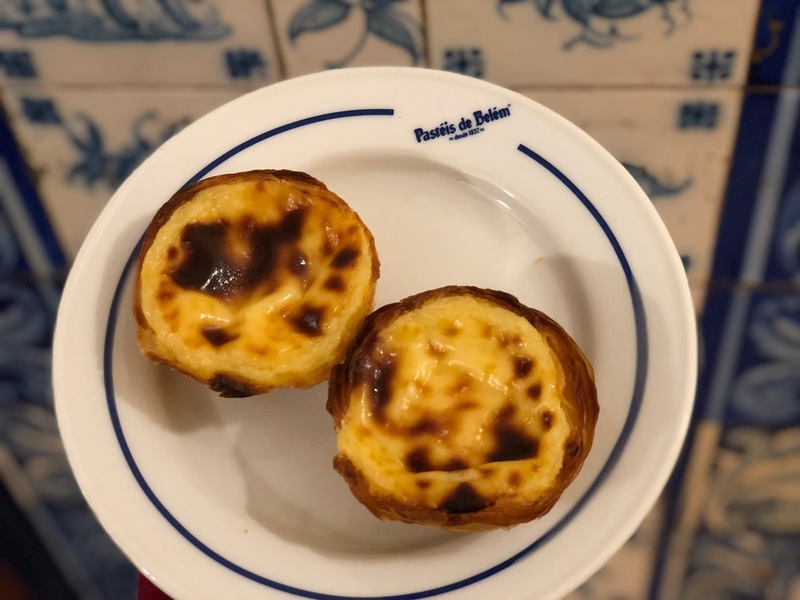 If you’ve ever been to Lisbon, you will know that you can’t pass a street corner without seeing a bakery or pastry shop with window displays full of these little beauties. 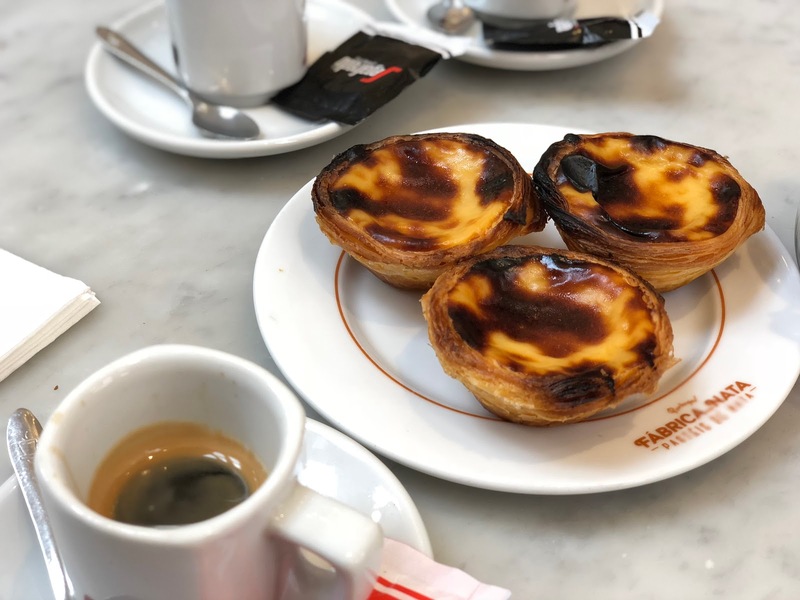 The custard tart is a national treasure, and we couldn’t pass up the opportunities to try a nice selection of them whilst we were over there in the beautiful city. If you saw our last post from the Secret Food Tour, you would know that this is where our tour guide brought us for what she believed to be the best tart in town. Did we agree? We certainly did and we hit the jackpot first time as it was actually the first that we had. Perfect pastry, not too hard and not too soft on the inside. Goldilocks would have loved it! It was just right. We took the Yellow Bus Tour boat ride over to Belem with the main purpose of checking what is believed to be the best by many. This is as this place holds the original recipe, and is still only known by a handful of people who work in the bakery. Don’t get us wrong, they were delightful but we felt the pastry was a little too soft and inevitably, James made a mess of himself. Now this is where the competition gets difficult. Despite being in the heart of the tourist traps surrounding the Praca de Commercio, we researched and found this amazing restaurant. They served the best Portuguese cuisine, but unfortunately we had to look at the tables beside us in envy as we’d only just had lunch. Settling for dessert was no bad thing though. As tradition, enjoyed with a Portuguese coffee, the pastry and filling were perfect, and extra hot this time too! 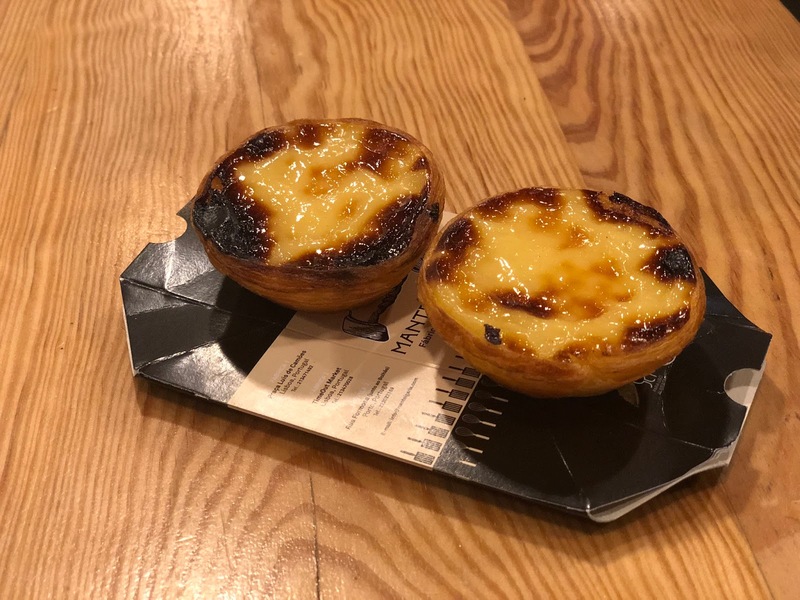 To round off our tart themed adventures, we visited the amazing Time Out Market and enjoyed some yet more custard tarts. This time served as a takeaway and in the box which can be seen above, we were very glad we took napkins with us. Far too soft, and I think the table enjoyed it just as much as I did. Have you been to Lisbon? Tried a custard tart from any of these places or elsewhere? Let us know what you thought in the comments below! A few years ago I didn't like custard tarts, I'd had a couple of horrible ones but luckily I persevered until I found more I liked. I think these tarts alone justify a trip to Lisbon! I’ve never had a custard tart, but these look amazing! I loved this review and the pictures- totally made me hungry! I love cute little bakeries, so i’m Sure I would be in heaven there! 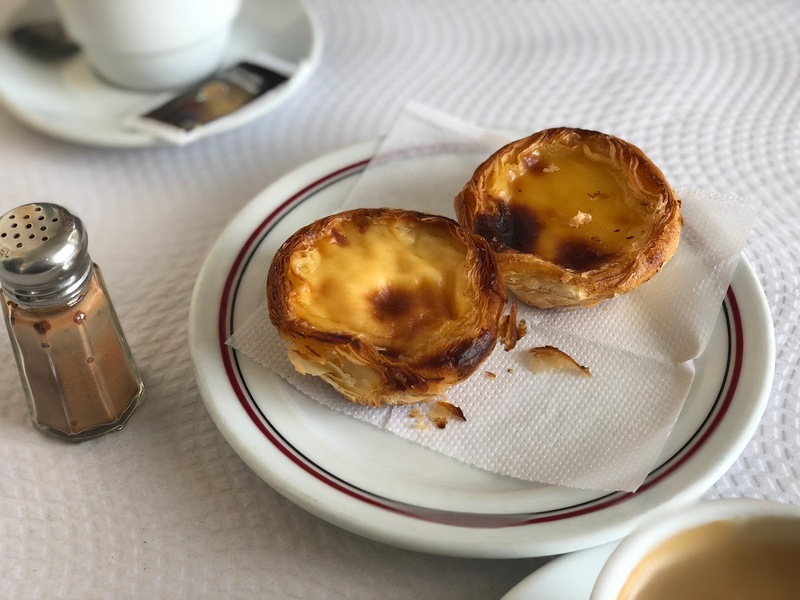 I haven't been to Lisbon before but I'd love to try some of the custard tarts there. I love how you went on a custard tart tour! My sister and I are considering going to Italy in the summer and I think we should do a gelato tour. 😀 (If you've been anywhere nice and not too expensive in Italy, please give me some recommendations!) These all look so good!